Yoga’s proposition today is no different to its original intention by Lord Shiva, the triune deity of Hinduism, the religion of India. At its core is the contemplative prayer (meditation) of Yoga consciousness that teaches one can be mentally, physically and spiritually “yoked” in the “inner self” with the outer “universal consciousness” known as Brahman, believed to be God and a divine energy. The conjured, self-invoked altered state of yoga consciousness is designed to bring “enlightenment”, an awareness of one’s god-self and the ability “self” has to control everlasting death (known as reincarnation). The hope of all types of Yoga, (which in their very essence embrace Kundalini power) affirm that one will be “like God” and not die, the same spiritual lies offered by Kundalini (known in India as serpent wisdom) to Eve in the Garden if Eden. He continues to add to (or subtracts from) God’s Word. God had said earlier, “You are free to eat from any tree in the garden; but you must not eat from the tree of the knowledge of good and evil, for when you eat of it you will surely die.” But, Kundalini added to God’s Words making Him appear stingy, “you must not eat from ANY tree…”? As Eve’s mind came under Kundalini’s treachery, (Jesus said Satan is “the father of Lies”, John 8:44) she too added words to God’s, “you must not touch it” further twisting the generous characteristics of God’s loving provision and care-taking. CAN “THE WILES OF THE DEVIL” BE CHRISTIANISED? Many Christians attempt to “Christianize” Yoga/Hinduism while others claim physical Yoga can be separated from spiritual Yoga, but was Eve’s physical eating of the fruit from the tree able to be separated from her spiritual downfall? God said thousands of years ago: “Watch yourselves carefully, since you did not see any form on the day the LORD spoke to you at Horeb from the midst of the fire, so that you do not act corruptly and make a graven image for yourselves in the form of any figure, the likeness of male or female, the likeness of any animal that is on the earth, the likeness of any winged bird that flies in the sky, the likeness of anything that creeps on the ground, the likeness of any fish that is in the water below the earth.” (Deuteronomy 4:15-18). No matter how arduous, yoga’s “self-actualization” disciplines are, there is no assurance of “shortening” death or “bettering” the next life but there is “an experience” through altered states which the Bible calls at best a “powerful delusion” (2 Thes. 2:11) and at worst demon possessed as spiritual “connections” are made through kundalini (serpent) power. The actuality of death snatching us in a moment is as certain as the reality of life which also began in a moment. The Bible says God created everything in a moment with no “extended” time needed for evolution’s theory. God, Who is outside of time, created time for man: days and nights, seasons, and even the Sabbath. The Authority of God’s Word made invisible visible and is a witness to Him, His Presence and His Power. Death, due to sin, is mankind’s inevitable conclusion, and without belief in Jesus Christ Hell will be man’s spiritual eternity. But God’s gracious gift is the choice of spending eternity with Him. Jesus offers power to live a righteous life and forgives all confessed sin: “Whoever believes on Jesus Christ shall be saved”. This confession of faith brings immediate eternal assurance through an act of the will, with a contrite heart, not by works that we should boast. Yoga is a spiritual discipline of body, mind and soul teaching that the spiritual condition of death and separation from God can be remedied by man’s capability through self-hypnosis and mental gymnastics. Hinduism, similar to all eastern mysticism sees body, mind and soul as a “whole oneness” and each person as a part of the “wholeness of life, nature and the cosmos” . God created each creature with distinction and after its own kind. (Gen 1: 21 & 24). He breathed His Spirit (spiritual life) into ONLY man who is uniquely made in God’s image and likeness with His eternal morals and values of Truth, Love, etc. Animals don’t have this unique “spiritual relationship” only animal instinct and animal behavior. Eastern Mysticism, including Hinduism, doesn’t teach a high view of man but elevates nature and “forces” (demonic beings). This low view of man results in the demise of morals and traditional values of family and Church life. The promotion of abortion and euthanasia, etc is rationalized. After all, if society permits the killing of an animal for self convenience, why not kill a baby in the womb, or an elderly person who no longer contributes to society for self convenience? If Christians desire physical exercise they should pursue it through fitness programs designed to exercise the body and not lean on Yoga’s spiritual disciplines (combined with body postures) which claim to shorten reincarnation cycles and offer god-consciousness. – the yoking to such pagan teachings are forbidden in the Bible. Also think about contemplative prayer when reading this article. Toward the end it talks about the phenomena that happens at Hyper-Charismatic meetings. This reminds me of the Glory Meetings that are being held today by the Extreme Prophetic group. The link to the full article is provided below. Please take a few minutes to look at the charts. 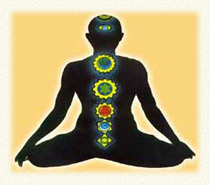 KUNDALINI – (Sanskrit kund, “to burn”; kunda, “to coil or to spiral”) a concentrated field of intelligent, cosmic invisible energy absolutely vital to life; beginning in the base of the spine as a man or woman begins to evolve in their first incarnation; fed by the chakras along the spine and by the cosmic energy entering through the feet from the earth; as wisdom is earned in each ….Kundalini is at least a 1000 years old occult practice with it’s roots in India. It involves bodily manifestations as a consequence to the ‘Awakening of an individual’s kundalini’, and is related to several other occultic practices like Qi Gong (a Chinese occultic tradition). The Chart Below was prepared by Antti Huima in August 1996, based on the Kundalini FAQ, the Siddha Mahayoga FAQ, and general knowledge about the so-called Toronto Blessing movement. The Kundalini FAQs are found from http://www.spiritweb.org/ which has since closed. Note. This document is laid out in two columns. The leftmost column contains quotes from the documents describing Kundalini. The rightmost column contains the comments of the author, pointing to the similarity between the Kundalini and the Toronto Blessing experiences.